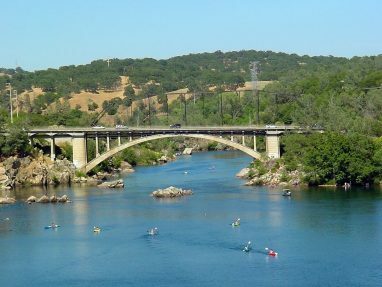 What do you think should be done with the land along the American River/Lake Natoma in Folsom? Do you envision parks? Housing? Retail? Restaurants and bars? Maybe you think it should be left alone. Whatever your opinion, here’s your opportunity to share it tonight, at the Folsom River District Community Workshop. This is your opportunity to hear about proposals which could forever change the Folsom landscape, and to let ’em know what you think. 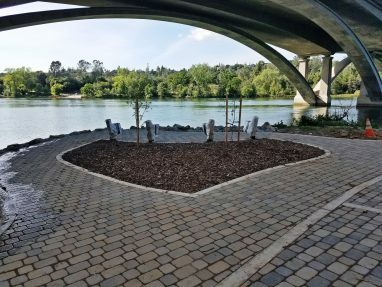 The long-awaited Lake Natoma Water Access and Trail Enhancement officially opens Thursday, April 13 at 5pm. This new facility will allow the first paved access to Lake Natoma from the Historic District. Although Folsom trails provide access at various points around the lake, until now, for people with limited ability or with small children, it was nearly impossible to access the lake from the Historic District. Getting there involved climbing down down dirt paths with trip hazards, and little to hold on to, except perhaps some poison oak.